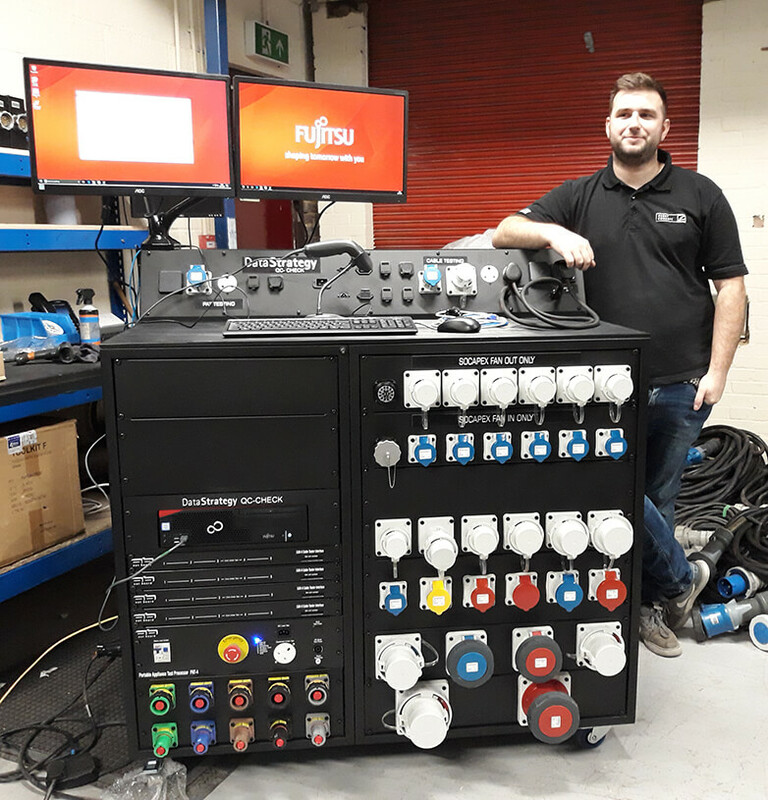 Event Concept’s Richard Purcell has taken delivery of the company’s THIRD QC-Check upgrade after the venerable CAB18 cable tester went into retirement after 12 years of dedicated service. Since 2004, Event Concept has ensured the best technical production for their events by checking equipment is compliant and in great working order in partnership with Data Strategy’s inspection system. In the delivery: a two-bay cable tester plus four #QC-Check bridges for tying two PAT-4 plus two existing PAT-1PC testers into the workbenches installed in Event’s new warehouse. One of the QC-Check Bridges connects to a 3-phase PAT-4 fitted with a RCD-t module for distro testing. Data Strategy’s #PowerCheck carries out the testing of each distro output and captures the result for producing test certificates. The Power-Check RCD-t distribution box allows a single connection to a distro’s Socapex outputs.